Fresh rocketMozzarella balls and basil leaves. 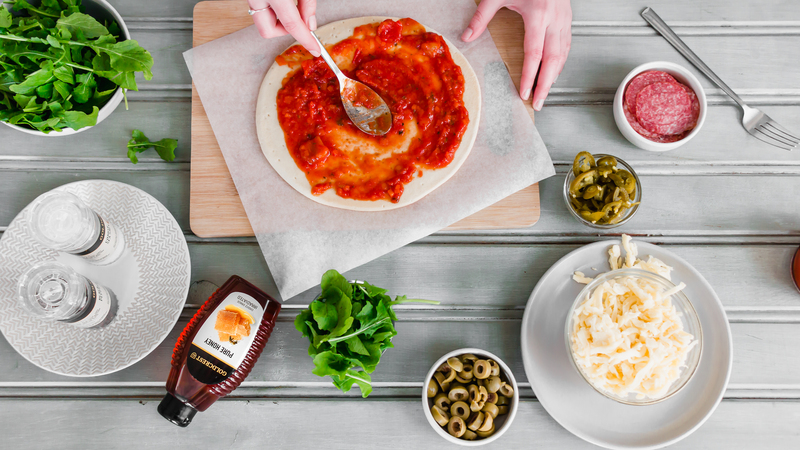 Spread 1/2 cup tomato pureé on ready made pizza dough. Add Salt, Peppercorns, 1/2 cup grated mozzarella cheese. Add 5 slices salami, jalapeños and olives to taste. Top with extra cheese and bake in the oven for 15 – 20 minutes at 180ºC. 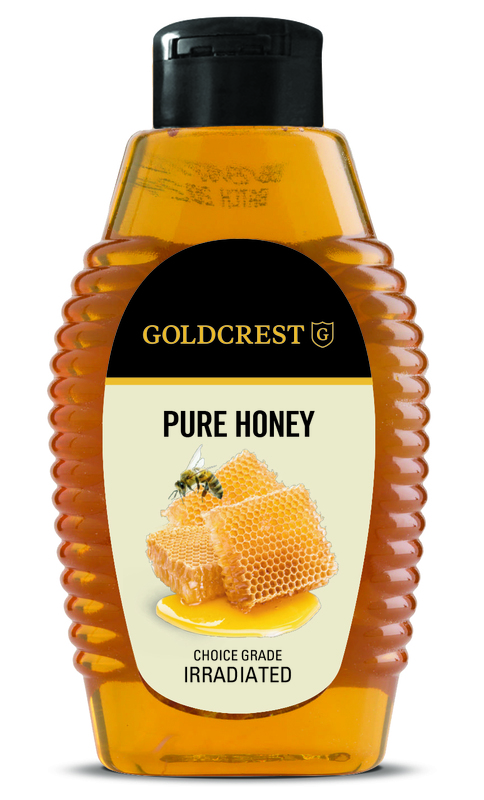 Drizzle GOLDCREST Pure Honey over the pizza and top with fresh rocket.